It’s always fun to see what freebie Savingstar is offering! 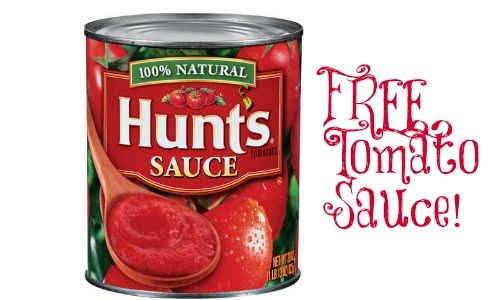 Through 10/5, you can save 100% when you buy Hunt’s Tomato Sauce. This is an awesome staple to have on hand in the pantry, so grab a FREE can and have it ready for your next recipe. This coupon expires on 10/5 and is good for one use only. While you are grabbing this, don’t forget to also grab the 20% off corn deal with SavingStar coupons!